These stalls are a great choice for mixed breed herds or herds that are transitioning cow sizes. Our air bellows ensures that each cow stands in the exact right position for quick and efficient milking. 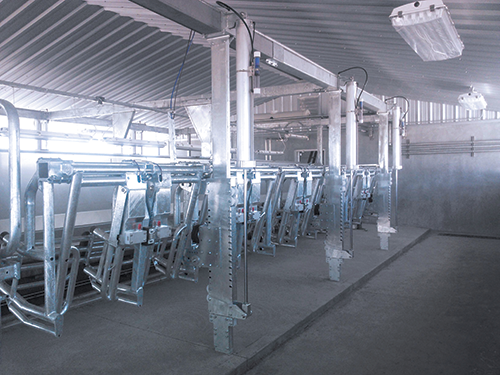 We’ve designed our air cylinders to withstand the tough conditions of the milking parlor. The Turner Individual Cow Indexing Stall also comes standard with our unique vertical lift and the comfort of knowing you have the toughest stalls in your parlor.